To me, the most exciting part of somatic therapy is the bodywork. Once the therapist establishes the suspected cause of trauma and the symptoms through attentive dialogue with the client, we can decide to start with bodywork. We work with bones, the skin, sinew to establish a direct dialogue with the body. In my years of therapy, I have found that psychological therapy has limited application to somatic trauma. In some ways I have found it to be the only key to the problem of visceral vestigial trauma. In my personal experience, somatic therapy is less concerned with what caused the trauma, than how the trauma resides in the body, and how it manifests itself in physical, emotional and functional ways. To me, it presents a more direct approach in providing the body what it needs to release trauma, often with immediate, palpable results. Almost all of my clients are unaware of how much trauma and concomitant pain they carry at all times, often times for years. One client was brought to my attention by a friend of hers. I asked her to pay attention to the pain, and rate the severity of the pain from 0 to 10, 0 being the absence of pain, and 10 being the maximum she’d ever experienced. She scored a 21 on a perceived pain scale, and sat right up when I touched her bones. It was entirely unbearable to her. Another client came up for therapy and she said her life was unraveling about her. I don’t know if it would make sense to you, but it is incredibly beautiful to see a person bloom under your hands. I checked in on her the next day, and (forgive me again for an arcane reference), it was as if moments of time had dropped around her, and she was back in her self, having entirely discarded the trauma she’d been struggling with for weeks on end. Children are known to suffer from psychosomatic ailments. The stresses they undergo in their family or school can take the form of physiological complaints. A study of 1,000 children by a British pediatrician John Apley analyzed stomachache. He found that 90 percent of the cases had no physiological etymology, and found the most common causal trigger pointed to stress at school. Trauma early in life can set the basis of Post Traumatic Stress Disorder for later in life. For instance, the Casey Family Northwest Alumni Study conducted in Oregon and Washington, with collaboration from the Harvard Medical School noted that the rate of PTSD was higher for adults who’d spent one year between the ages of 14 and 18 compared to combat veterans. The recovery rate of those adults was half the rate of the general population, indicating a severely retarded recovery to well being. 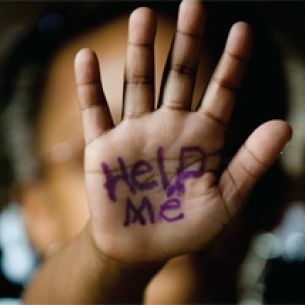 And no wonder – a study conducted by Dubner and Motta found 60% of children who were sexually abused in foster care had PTSD, 42% of children who’d been physically abused showed PTSD symptoms, and PTSD was found in 18% of children who hadn’t been ostensibly abused. Even witnessing violence or being threatened with real or perceived parental abandonment can cause severe trauma to a child. Trauma travels well. Across time, and across the body. It stores well, so well, in fact, that the science of epigenetics now confirms what psychologists long believe: that trauma can have a cellular-level impact so significant, that if pregnant women are exposed to it during the third trimester, can pass on a tendency to PTSD to their infant genetically. Epigenetic modification is the environmentally induced change in DNA that alters the function rather than the structure of the gene. Will respond to emails within 24 hours.